SY-VM59-N Premier Thermostatic Dual Shower Set - Only £359.99! In stock now for just £359.99 including VAT! Hurry while stocks last! The SY-VM59-N Premier Thermostatic Dual Shower Set boasts a flawlessly smooth any eye-catching chrome surface with high-quality brass internals. Manufactured to the very highest standards, this deluxe designer shower is the final word in mordern bathroom design. 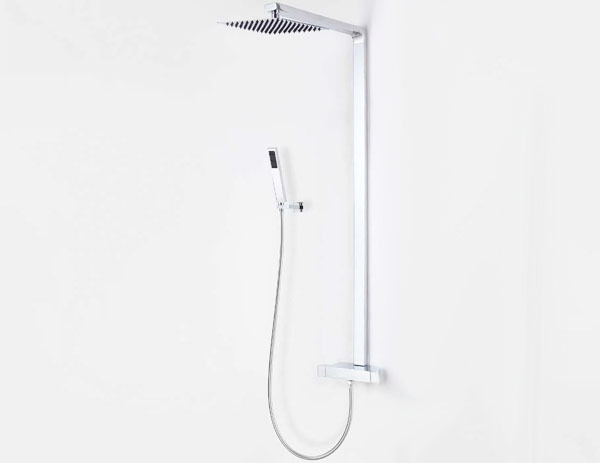 Thanks to its stunning cubist design and ergonomic shape, this dual shower set is one of our most popular. This truly is the perfect place to unwind and relax. 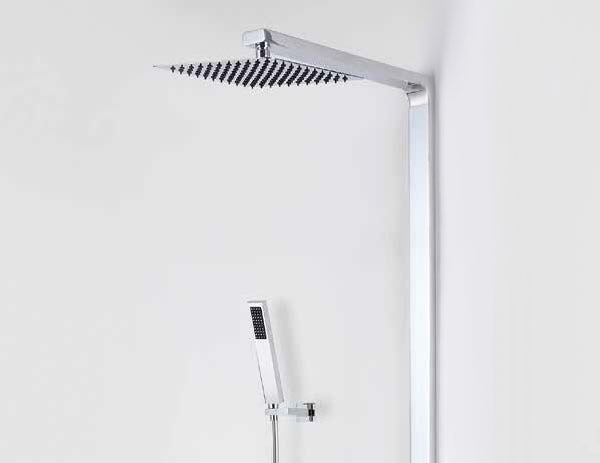 A Deluxe, Modern Showering Solution. The Synergy Premier Thermostatic Dual Shower Set is here to make a luxirious stamp in your bathroom. Perfect for a room with limited space as it is wall mounted. Suitable for medium to high pressure systems. Also includes square mounting bracket, square paddle handset and 1.5m quality flexible hose. With the latest cermaic disc technology and anti-scald safety stop, this would be perfect for any family bathroom. 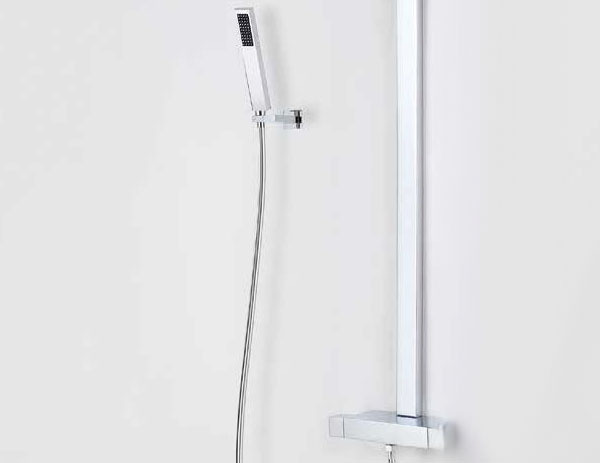 The Premier Thermostatic Dual Shower Set is the perfect addition for any bathroom.